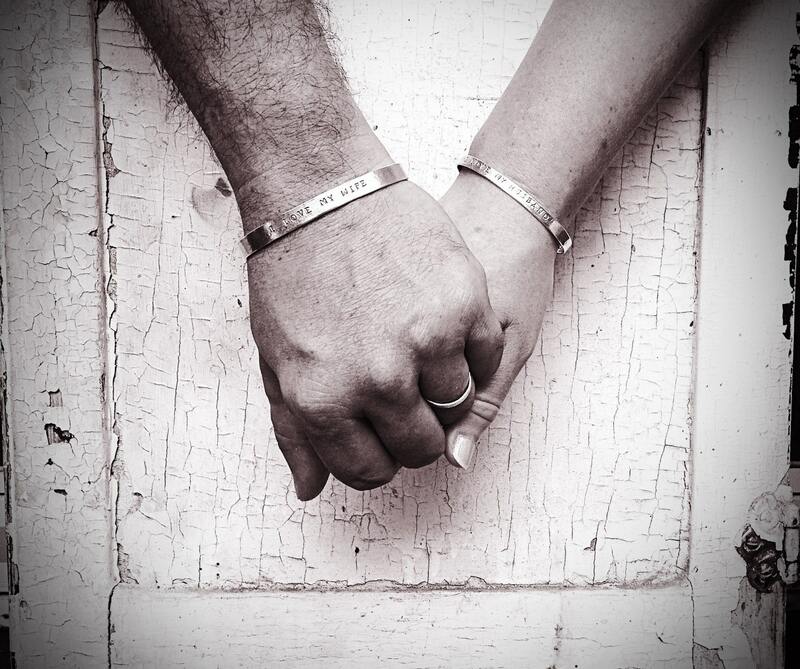 Proclaim your love for your significant other with this rustic hand wrought sterling silver cuff bracelet set for you and yours. Looks fantastic by itself or layered with other bracelets. 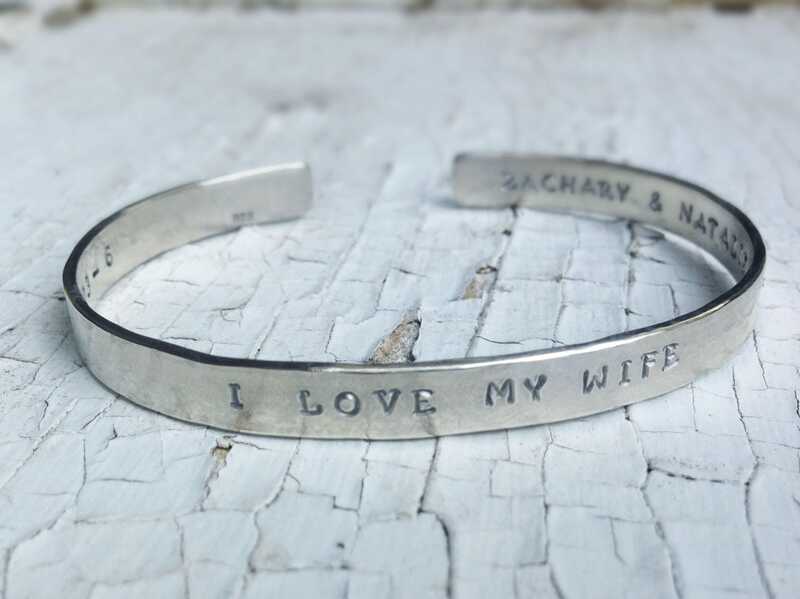 This is a set of two hammered and hand stamped solid sterling silver bracelets: One for her that says "I love my husband" and one for him in a heavier gauge sterling silver that says "I love my wife"
This is a great gift set for Valentines Day, Bride and Groom, Anniversary or just to commemorate your love for each other. Custom sized per your wrist measurements, simply select your wrist sizes from the drop menu. 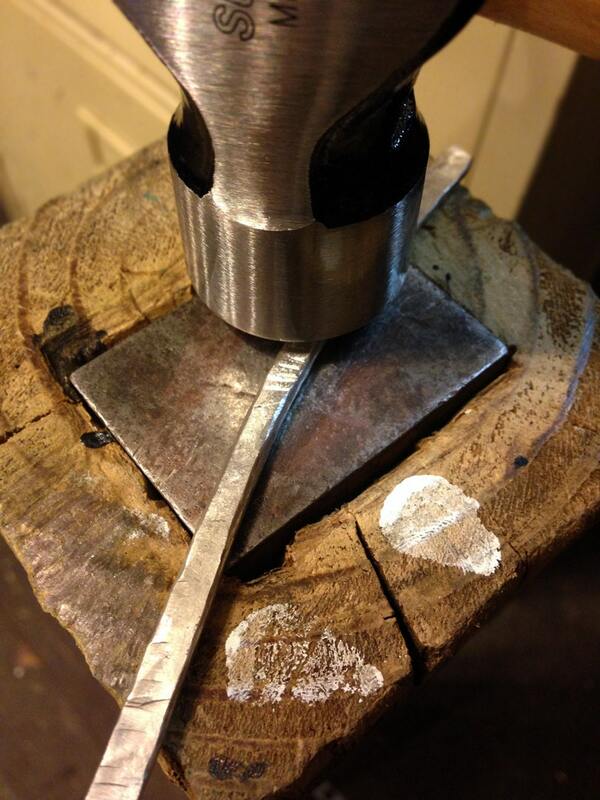 I start with solid 8 gauge sterling silver for hers and heavier 6 gauge sterling silver for his, which get hammer formed and shaped completely by hand into a cuff set with it's own unique rustic texture, no two are ever the same. After the hammer forming, they get meticulously refined, filed and polished by hand, to ensure that they are absolutely comfortable to wear. This design is made to your custom lengths and are approximately as follows: Hers - 5mm to 6mm wide top to bottom and 1.5mm cuff thickness. His - 7mm to 8mm wide top to bottom and 2mm cuff thickness. 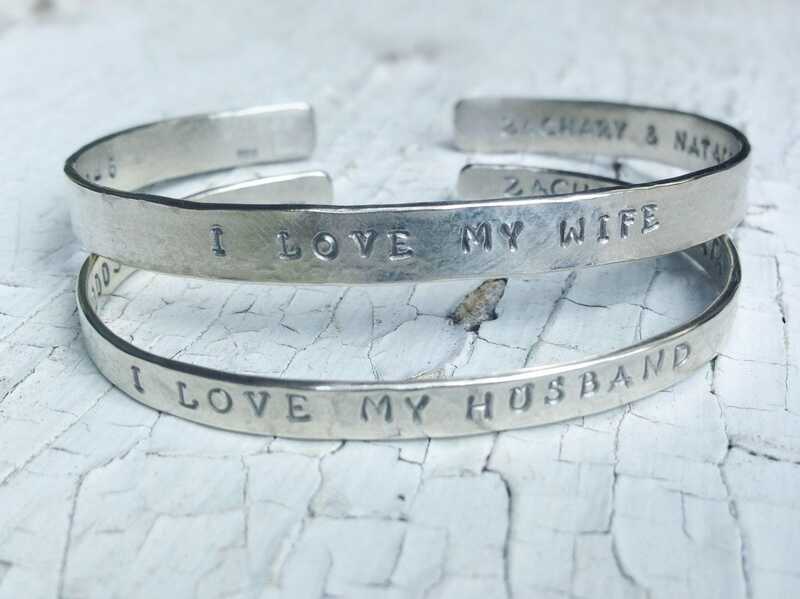 They get hand stamped on the inside or outside with "I love my husband" and "I love my wife". Please leave me a note in the "notes to seller" box at checkout indicating whether you want the stamping on the inside or outside of your bracelets. If no preference is indicated, your bracelets will be stamped on the outside. 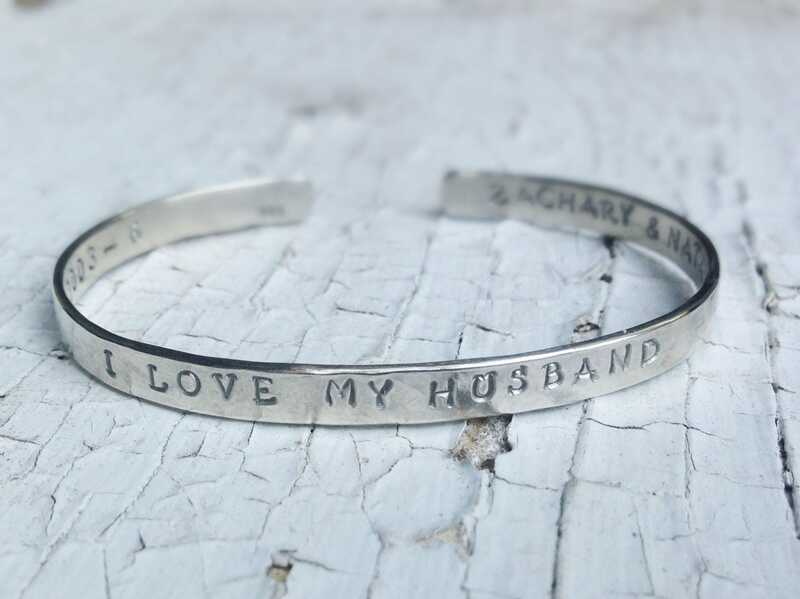 Need your bracelets customized to say Boyfriend, Girlfriend, Husband, Wife, Fiance, your special someone's name or any other customization you can think of? Leave me a note in the "notes to seller" box at checkout, with what you want stamped on each bracelet. If you have any questions at all, please message me and I'll be happy to help.